There many things that have to come together in order to get your startup off the ground, but many people don’t consider an attorney to be one of them. However, having a qualified legal team of San Francisco business and startup lawyers on board for your new company could be one of the best investments you can make. Many founders don’t realize that receiving money triggers a host of obligations, including reporting investments to the state, recording them in the corporate books, and keeping track of their impact on the corporate cap table for future rounds of investment. We help founders by setting up their business entities in a way that enables them to easily stay on top of their investments and draft the documents necessary to receive investments at early stages from friends, family, angel and institutional investors, including convertible notes, SAFEs, and helping negotiate priced round term sheets. Our San Francisco business lawyers can also help you prepare you to onboard employees and independent contractors, protect your intellectual property, strategize for growth, and give you practical advice toward succeeding, especially in the Silicon Valley venture capital marketplace. With CWL on your team, we not only help you prepare for the future, we help you along the way. Our San Francisco startup lawyers can answer your questions, implement strategies, and help resolve any legal disputes should they arise. 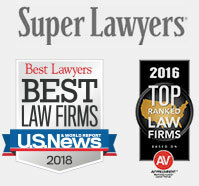 With our litigation background, we can offer practical advice on the most cost-effective means of resolving disputes, and we’re comfortable going the distance to defend or enforce your company’s rights. We’re passionate about representing startups because we’ve seen the positive impact many have had on our daily lives, particularly on the West Coast. You can trust CWL to share your enthusiasm for the success of your vision.